Internships are expected as a course of study in many fields. Think about student teachers, hospital training for nursing and doctoral students, or even trades apprenticeship programs. They're all practical ways for people to learn about their career fields. You'd never think of a student teacher or nurse not getting school credit; for most, a semester of student teaching is mandatory for graduation. Why not create a way for high school students to work and gain school credit? Apologia Educational Ministries has the same thoughts! 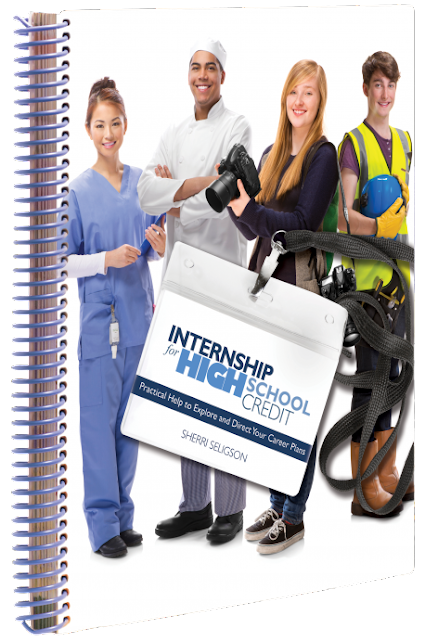 Internship for High School Credit is Apologia's latest high schools course offering. The program was written by Sherri Seligson, and offers "practical help to explore and direct your career plans," and shows the benefits of an internship and how to document and credit the experience. Fast forward to Luke's high school years. Homeschooling provided us with the perfect opportunity for an internship. While we live in a state with very relaxed homeschooling rules, I wanted to make sure he had a comparable transcript to his public- and private-schooled peers, if only so that he would be competitive when it was time to apply to colleges. For his "21st-Century Finances" credit, Luke was able to work in two small businesses - in sales/public relations/small business start-up with me, and in warehousing and supply in Neal's family's established business. Those high school internships led Luke to decide that he wanted to take a year off between high school and college, work in the family business full time, and decide if he still liked it. 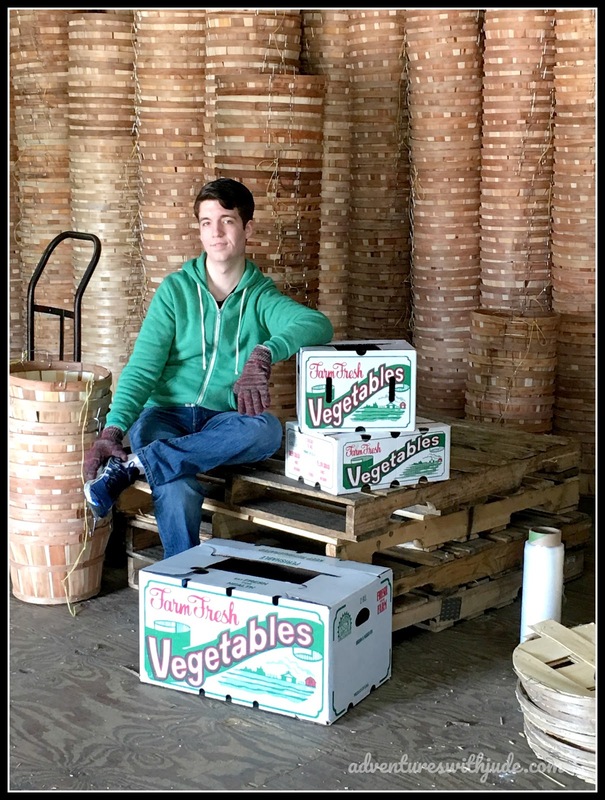 After a "gap year" of work, Luke has found that he enjoys the challenge of small business and would like to work in the family business as a career. An internship allowed him to discover the right path for him. So, if we managed without the book for Luke, who graduated already, why would we consider using the program with Matthew, who will also likely intern in the family business? Well, for starters because it allows the student to be more independent. For Luke, I felt like it was always me pointing things ways to earn credit or lessons to be learned. In contrast, the program guides the student to find internship opportunities that might fit with potential career paths. Rather than being about "finding a summer job by looking at who is hiring," activities in the workbook help a student match internships that might not be quite so obvious. For example, a student with a goal of vet school would likely think of looking into programs offered by a local zoo. However, Internship... suggests some not-so-obvious options like looking into internships/employment offered by a working farm or animal rescue/shelter. It then provides instruction on creating a resume and interview preparation. While Matthew may not need a formal interview to work with his Dad (we joke that the only entry-level requirements are being born into the family and being tall enough to push a broom handle), practicing those skills in a low-stakes situation will only benefit him. However, an internship is not just "go to work, earn a credit credit." Even if you're working in a job that isn't likely going to lead to a career, there is much to be learned from the people you work with, and the program organizes ways for students to do that. If your student is looking to achieve one semester's worth of credit, weekly assignments from Internship... will help him earn it. Weekly activities provide a framework for the student document what he's learned about the job/career, assigning questions and exercises meant to help a student learn more about the business he is working in. Among them are questions to ask supervisors, to understand where specific jobs fit in the grand scheme of the company. While it's hard to relate your entry-level job with a business as a whole, it helps an intern realize that each employee plays an important role. Other exercises target speaking to others in a company and finding out what their educational background is. I think this is important because if the internship is a stepping stone to your career, you want to know what you need going forward. However, in talking to others, you might find that their stories intrigue you more, and following in their footsteps might be better. For example, someone who loves animal conservation but honestly can't stomach cleaning animal pens might find their talents would be better served writing grant applications or as an accountant for the organization. However, a second half-credit can be earned by spreading out the "weekly" activities over the course of two weeks. In the first week of the assignment, the student does the activities as written. Over the rest of the lesson period, the student is expected to write about the internship (approximately one to two pages each week), with the option to do further research about what he discussed with his co-workers. Although it appears that this program is probably more beneficial for the student working in a larger organization, I think it will still be helpful for Matthew as he begins working in the family business over the next year. There isn't a broad range of people in our business to interview -- that's the nature of a small business. However, I think Internship... is a program that could be completed with the help of a good mentor, and if he looked to his father and grandfather as mentors, Matthew could fulfill this course by focusing on interviewing them about their experiences and educations as laborers who eventually owned the business. If your student is working in an apprentice program, it might be worth finding a journeyman or master tradesman in the field to serve as a mentor, especially if they are also entrepreneurs as well as tradesmen, and completing the course. I like this program because it not only provides a way for a student to check off the "21st-century practical living" box, but it helps him explore a career path while still in high school. It may help cement an idea, or it might spark an entirely new interest. I don't necessarily expect a 16-to-18-year-old to know exactly what he wants to do for the next fifty or so years, but I think this course can help him use a high-school job to discern what he could potentially find to be a rewarding career. In addition to the Internship for High School Credit program, crew members worked with How to HOMESCHOOL with Stunning Confidence, Contagious Joy, and Amazing Focus (DVD & Coursebook). Read reviews of both by clicking the banner below.